Something from my bar whenever I feel like it episode CLXXVIIIsteemCreated with Sketch. Another Tuesday another cheat at the 2 for Tuesday episode. This one is another puzzle. Of course it can be done with 2 people but I don't think it ever will be done as it will stay in the shrink wrap sitting on the shelf. 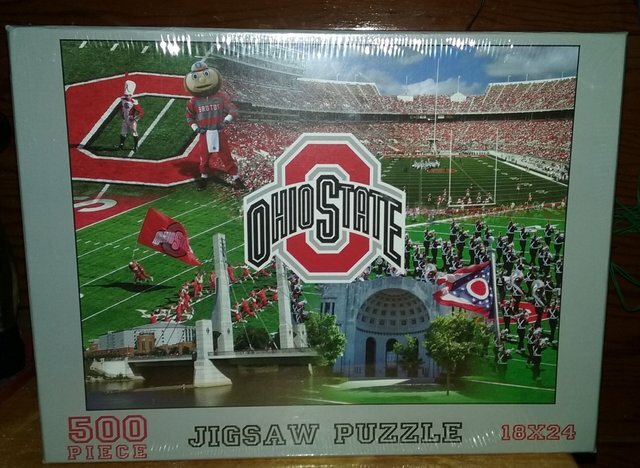 It's an Ohio State Buckeye puzzle. It features the Horseshoe, Brutus, and the OSU band.